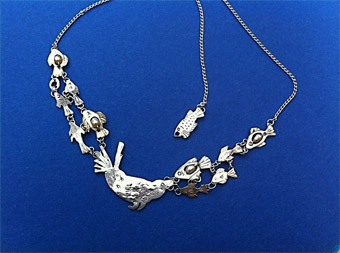 Being lucky enough to live in the Cotswolds means that Elaine Day is heavily influenced by the flora and fauna of her surroundings in making her bespoke sterling silver and gold jewellery. 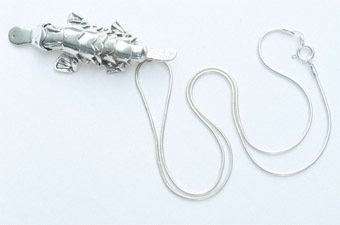 She has studied the insects and plants in detail before creating her own unique and sometimes humorous take on their form. She draws from her own experiences of wildlife above and below water in the UK and sometimes of animals which she has encountered on her travels elsewhere. 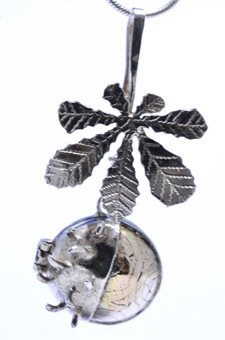 Elaine is often drawn to the challenge of recreating the smallest animals, seeds or flowers she can find in silver and gold. 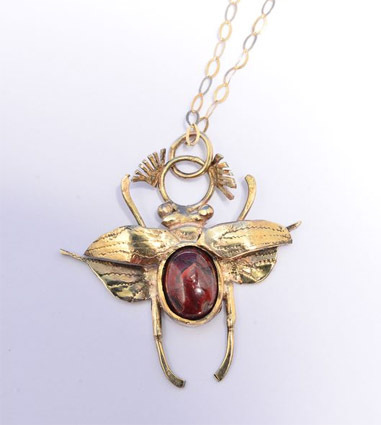 Designs may often start with a stone or glass bead which can be turned into a winged insect, fruit or patch of water and the creative process will begin there. 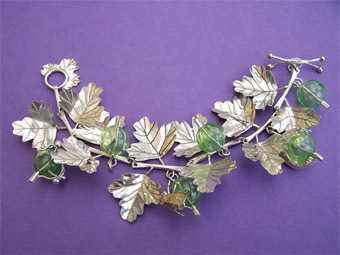 She is also very happy to take on commissions and work closely with her clients to create the perfect piece for them. 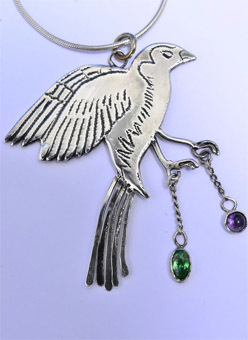 Elaine creates pendants, lockets, necklaces, rings, earrings and bracelets tailored to size required. 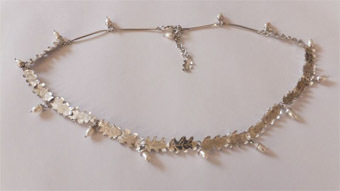 Each piece is unique as it has been carefully crafted from scratch by hand using traditional techniques. 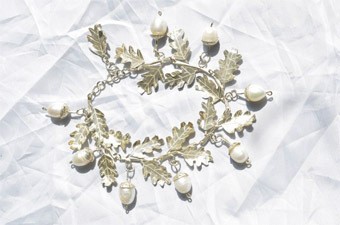 A new collection of jewellery is created every year.